When skin cleansing is performed without ultrasound, we can only remove the impurities that are lodged in the superficial layer of the skin. 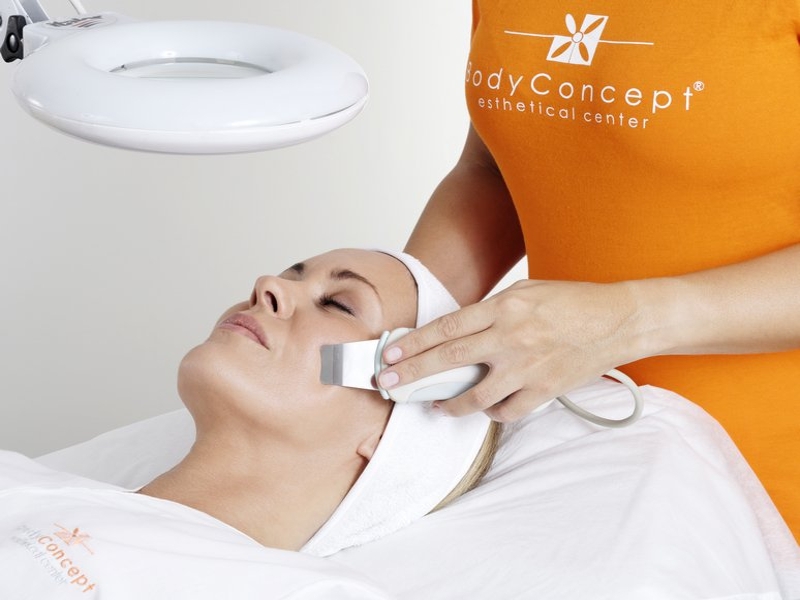 BodyConcept uses the latest technology to perform a deep Skin Cleansing, through the use of a mechanism that incorporates ultrasound, being possible to produce a regeneration from the dermis to the epidermis. The production of sebaceous secretions is regulated, the skin is hydrated, and the production of collagen and elastin, which give elasticity and firmness to the skin, is also stimulated. Without leaving any mark or redness, BodyConcept Ultrasonic Skin Cleansing can be performed at any time of the day, being a true beauty treatment capable of turning the unpleasant extractions of impurities into a real comfort. Application: technical movements performed with an ultrasonic micro-vibration spatula.